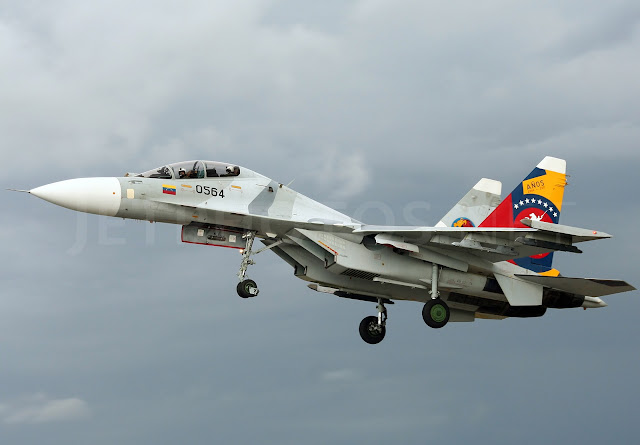 A Venezuelan air force jet has crashed after it was deployed to the northwestern region of the country to verify information that an aircraft had entered Venezuelan airspace, the ministry of defense reported Thursday. “At approximately 21:07 hours of Sept. 17, 2015, an airplane Sukhoi-30 of the air force has crashed with pilots Cap. Ronald Ramirez and Cap. Jackson Garcia on board,” the Minister of Defense Vladimir Padrino Lopez said in a statement.